There was an ambush on the Midland train a century ago. The incident took place in the upper Fryingpan River valley, and The Aspen Democrat-Times had this to report:The Midland station agent at Norrie sent the following telegram to the agent at Aspen at 11:30 o’clock this morning.”George Moses, roadmaster on Midland, was shot from ambush about one mile from Norrie as he was coming from Sellars on velocipede. The sheriff and posse from Leadville are looking for the party who shot him. The sheriff at Aspen should be notified as Norrie is in Pitkin County.”••••”A crumbling mountain,” read this report in The Aspen Democrat-Times in 1911:People who were at Ashcroft yesterday report that the mountain just this side of the ancient burg was rapidly disintegrating. They say if you wanted to start a rock slide, all that was necessary to do was send a bullet from a .22 rifle against the mass and it would crumble.Whether this particular belief was brought about by the electric storm prevailing or heat from the sun or the excellent joy water dispensed at Ashcroft is not known. 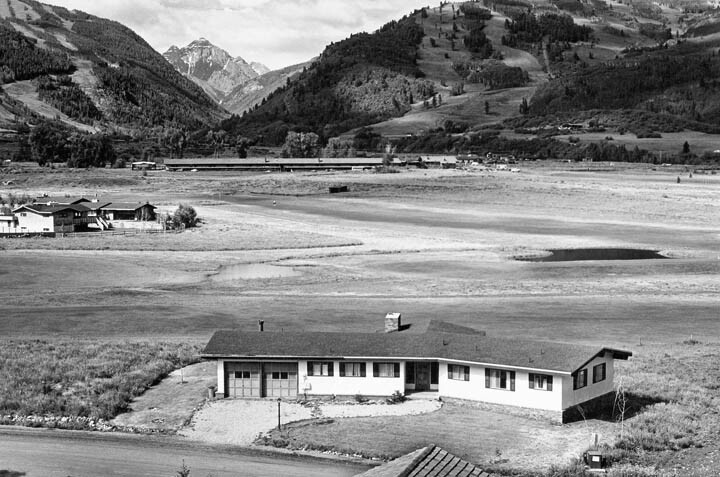 Aspen was boasting a nine-hole golf course 50 years ago. 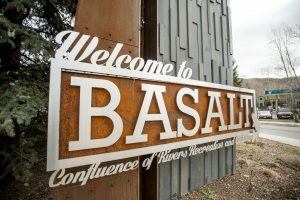 The Aspen Times reported:Aspen’s status as a complete resort was heightened this week with the opening of a new nine-hole golf course a few hundred feet west of the city.Conceived and executed by Aspenite Wally Mills, the course was opened to the public this week on a membership basis. With a par 36 for nine holes, it measures 3,300 yards.Although membership fees have not been announced, local players on the course this week paid a $10 membership fee and a $3 per day green fee.Mills has been in the process of constructing the course since 1955. At the same time, he has developed the surrounding land into house sites, many of which are for sale.Temporary entrance to the golf course is from Highway 82 near the Maroon Creek Bridge. 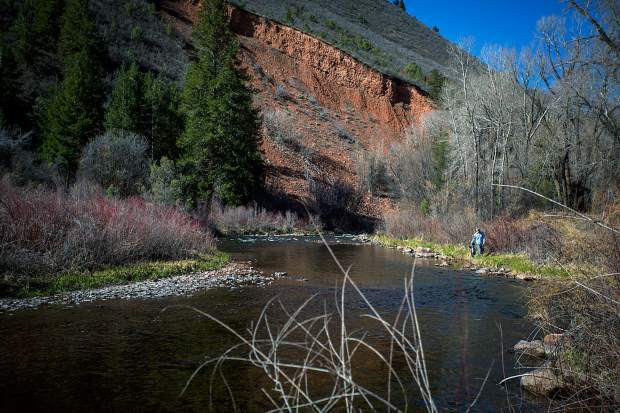 The nine holes occupy most of the former Marolt ranch on the north side of the highway, between the Maroon and Castle Creek bridges.••••An eye-catching, midnight blaze made headlines in The Aspen Times a half-century ago. The newspaper reported:The most spectacular fire here this year called the Aspen Volunteer Fire Dept. to an old, unoccupied house east of town at midnight Tuesday – the anniversary date of another spectacular blaze near the same site one year ago.Located on a rise just east of the Roaring Fork bridge on Colo. 82, the large dwelling is known as the Sullivan house and is thought to be owned by a person in California.Flames of the blaze, visible from all parts of town, lit up the mountains of the valley. Firemen waged a three-hour battle to quell the conflagration and at one time had water from five hoses playing on it.Last year, on the same day at about 12:20 p.m., a mysterious fire of a similar intensity destroyed the Mishmash house adjacent to the Sullivan property. Lift ticket prices were going up a quarter-century ago. 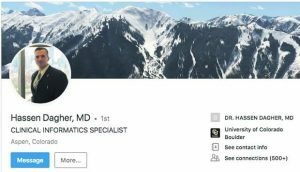 The Aspen Times reported:Single-day lift ticket prices in Aspen will rise this season by $2 at Aspen Mountain, Aspen Highlands and $3 at Buttermilk and Snowmass.Effective Thanksgiving Day, lift tickets will cost $29 at Aspen Mountain, Buttermilk and Snowmass, and $28 at Aspen Highlands. Vail and Beaver Creek now have the distinction of being the highest priced areas in the state, as their tickets will jump to $30 from $27.The average priced lift ticket in Colorado is $21.••••A luxury hotel at Aspen Highlands won approval 25 years ago. The project was not to be confused with the proposed 300-unit Highlands Hotel, which county commissioners rejected a month earlier. The Aspen Times reported:The vote unanimously in favor of a project that has gone back to the drawing board three times at a cost of roughly a half a million dollars.This time the architects altered the roof lines and the color scheme of a major new hotel slated for construction next spring at the base of Aspen Highlands Ski Area.The project means a major change for Highlands, an area where development has been minimal for the past 20 years. The existing Highlands Inn, a quaint, 50-room, Bavarian-style building owned by Joe Cooper, will be torn down. 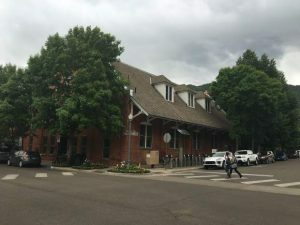 In its place will stand a luxury hotel managed ostensibly by the Hilton Hotel chain and becoming one of the Aspen area’s newest destination facilities.••••The planning of new facilities at the Aspen-Pitkin County Airport is under way, but not for the first time. Twenty-five years ago, a study of the airport made news. The Aspen Times reported:Future expansion of Aspen’s Sardy Field will have a direct correlation on the success and failure of the local economy and must be planned for accordingly, is a finding from a report on the airport compiled by project planner Colette Penne.The year-long study, titled “Aspen/Pitkin County Airport, Existing Conditions and Future Directions,” was commissioned to account for the resources at hand and determine what changes need to be made before additional improvements and a Master Plan can be implemented.”A variety of options” are available for the airport,” said Pene at a public hearing held this week to discuss the findings. They could include a new entrance from Highway 82, redesigned terminal buildings and upgraded runway facilities.